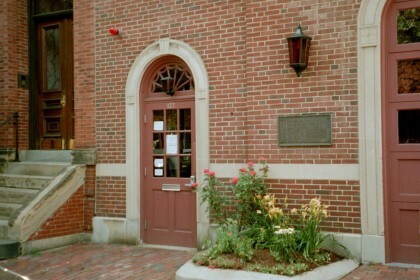 The Front Door of the Boston Firehouse after the Firehouse had been returned to its original condition. This picture was taken after the Hill House had moved into the Firehouse. The Boston Fire Department emblem below a 2nd floor window above the Front Door.